ASTANA – What challenges do young writers face? What are their sources of inspiration? How can social media increase book sales? The Astana Times spoke with young Kazakh female writers to learn about their stories and ambitions. 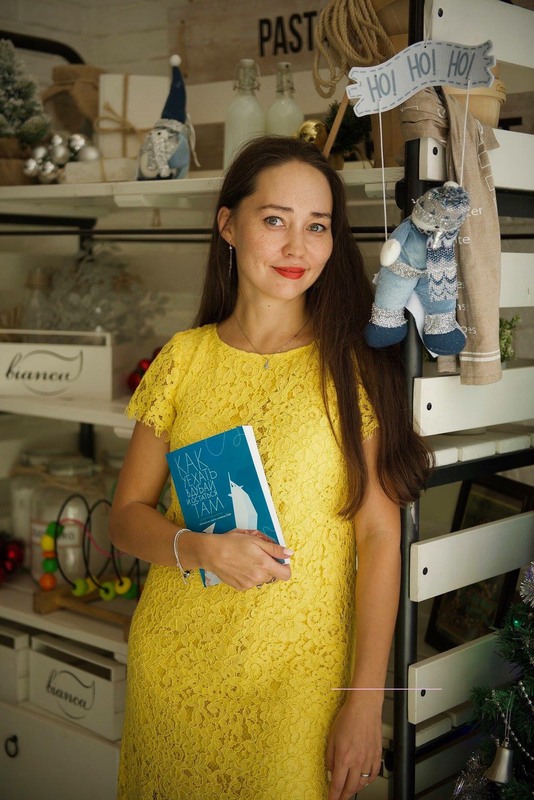 Karaganda native Meruyert Alonso released her first book, “The short summer of Chanteclaire,” in 2018. A reporter by occupation, she is residing in Lima, the capital of Peru. “Former editor of ‘Cosmopolitan [Kazakhstan]’ magazine Maya Akisheva was the first person to read my book. In fact, one hour before the official book presentation she arrived at the store, approached me and said ‘Do not be afraid. It is such a good book. A writer has been born.’ Those words made me fell really calm,” said Alonso. The book was self-published, as she did not have an agreement with a publisher. “It allowed me to personally direct the whole process. On the other hand, many magazines such as ‘Esquire,’ among others, gave publicity without any settlement involved. It was the printed media community having my back. I would say 50/50. The creative process of writing is a solo part and eventually it arrives to its end,” she noted. “Contrary to the writing process, the release and publishing part is teamwork; everyone has an opinion, a perspective, but at the end all the people involved in the project have to agree, despite the clear idea you have in your mind for your book as a writer,” she added. Alonso has also finished two children’s books. “My children have a different childhood from the one I had; I was born in the U.S.S.R. They will not be able to understand the circumstances of that time; however, I will transmit the remembrance of my first years of life to them,” she said. The author also offered some recommendations for beginning writers. “Do not be afraid, do not look into your past, do not let what people may say affect your goals. You are not a one hundred dollar bill; not everyone is going to like you,” she added. Initially, Alina Mustafina’s book, “How to move to Dubai and to stay there,” was journalistic writing about the United Arab Emirates (UAE) and a guide for those interested in relocating to its largest city. But it became more than that, said the author. The work emerged as ethnographic research about natives of other countries currently living in Dubai. “It is actually not a recipe for how to move to the Arabic wonderland. It’s a combination of stories about people searching for happiness in the Arabic sand,” she said. One of the stories is autobiographical, recounting the life of a former young editor at “Cosmopolitan Kazakhstan” who went to conquer the UAE. She sold souvenirs, took part in a film and photographed Tom Cruise, Kim Kardashian and the Sheikh of Dubai. “I was surprised that the book was popular with a wide range of readers. Of course, immigration is a popular topic, but people bought the book not because they are interested in Dubai, but simply because they wanted to read the real story of my life and the lives of other people. As a journalist, I usually write articles in local media, plus I like to talk to people through my page in Instagram. Thanks to social media, the audience gets to know you and is eager to read more of your stories if they like the way you write. So, it’s actually a great instrument for a young writer – develop your personal brand, as this helps promote the book. However, you should do it from the heart. People feel fake emotions,” she noted. After travelling and living in different places, Mustafina considers herself a true nomad. “My life in the UAE inspired me to write a book. This world was unusual to me and my friends. I am happy to share these amazing stories with people. My husband and I also lived in Spain and Turkey. We do not live long in one place and it gives impetus for new stories and acquaintances,” she said. The writer was especially pleased to read good reviews from Akisheva, critic Madi Mambetov, blogger Marina Sharipova and journalist Zarina Akhmatova. “I get a lot of feedback from my followers. Surprisingly, I only received critical reviews from people who have not read the book. They said that they hate the idea of leaving the country. Those who have read it say they didn’t actually expect that it was going to be that interesting and impressive,” she added. Mustafina did not face any difficulties in publishing. “At first, I agreed with a publisher in 2014-2015, but we didn’t print the book because of the crisis. The book was available online for two years; then, I rewrote the book to make it more authorised for publication. The first edition of 500 copies was completely at my expense. The promotion is not an easy process. I paid more attention to my social media accounts to promote the book. It helps me sell the book now,” she said. “I was lucky to have Beibit Alibekov as my second publisher. He is a public figure who has many friends among bloggers. Writing a book is a challenge itself and then you have to promote it. Unfortunately, we do not have book agents who are engaged in promotion in our country,” she added. The work was of great interest in Moscow, where it sold out. “If bookstores are interested in your book, they are ready to cooperate with you in Kazakhstan. It is more difficult to enter the Russian market. The store enters into a contract only with the publishing house, which represents the writer, not with a writer herself,” she noted. Mustafina is planning to write a second book about how her husband became a pilot and she became a film director in Spain. “If a person has the ability to observe, natural curiosity or the gift of journalism, he or she can write a book even without travelling. There are many interesting things around us. It is not about inspiration, but about the ability to see the world around you. I recommend for beginning authors to watch, write down dialogue and how people behave in different situations,” she said. ASTANA – The Aray Media Group is the first company making professional Kazakh language dubbing according to the international standards in Kazakhstan. This is an important project to develop the Kazakh language, said the company’s Voice Over Director Shah-Murat Ordabayev in an interview to The Astana Times. He believes that to raise population’s interest, all media products in Kazakh should be voiced on a professional and high level. Voice Over Director Shah-Murat Ordabayev. “Currently, there are many types of dubbing in Kazakh language. But it’s not interesting for viewers, because not all dubbing is professional and of a good quality,” he said. He also believes that the projects on Kazakh dubbing should find support from media and high ranked and respected people in society. “Also, there should be high quality and active advertisement… It requires attention of the media to this issue, because those are the instruments of dialogue with society and it should be used. The media such as radio, newspapers, journals, TV channels, web sources… Also, our intellectuals, popular figures, TV stars, actors should talk and spread information about this type of work,” he added. Until 2015, dubbing was made at Cinematon Studio in Almaty and then the licence was given to Aray Media Group in Astana. Currently, both studios dubbed approximately 27 movies. The films are broadcast at the cinema halls across the country and are available on ivi.ru and at Meloman shops on CDs. “Until now, we are dubbing movies of Hollywood companies such as Disney, Pixar, Lucas Film, Marvel, Bazelevs, Sony and EuroCorp. Among movies dubbed in Astana, I participated in dubbing of Star Wars: The Force Awakens, The Jungle Book, Alice Through the Looking Glass, Moana, Rogue One: A Star Wars Story, Guardians of the Galaxy Vol. 2, Spider Man 2, Cars 3, Coco, Valerian and the City of a Thousand Planets, Incredibles 2, Hotel Transylvania 3, The Nutcracker and the Four Realms and Ralph Breaks the Internet,” said Ordabayev. The Kazakh dubbing is one of the projects that the Bolashak Corporate Fund is implementing in Kazakhstan. The budget of the fund is formed from the donations of the corporations working in the country. “The fund opened many inclusive classes across the country. Also, they opened several inclusive cinema halls. This year they collected approximately 300 million tenge (US$806,400) during their charity ball. While for dubbing the fund attracts finances from sponsors such as BI Group and Bazis A. Thus, it is not funds from charity events or governmental budget,” emphasised the actor. In 14 out of 24 projects, Ordabayev was a voice over director and a voicing actor. “Disney Company sends us full video material and the script in English. Our work is to translate the script that is done by translators. Then, according to lip sync rules, we need to match speaking characters’ lips to voicing actors’ speech based on the meaning of the translated text,” he said. The voice over director’s function is also to hold casting of the actors for dubbing. “For example, Ralph Breaks the Internet. The casting is held for the film’s main characters such as Ralph, Vanellope, Shank, Yesss. Casting is usually held for approximately five characters of any movie. I need to adapt voices of five-six actors for each character, among which Disney Company will choose one. In other words, I do preliminary casting and Disney Company makes the main casting,” he said. It takes two-three days to record the main characters voice. Depending on the actor’s mastery, it can take one or one and a half day. Each actor comes to the studio to be recorded individually. Ordabayev puts much effort to keep and transfer the main idea of the films to the viewers. “My aim is to keep the main idea, meaning of the film. For that, I need to know English language. Also, each actor recorded separately, thus I need to fit their speech to each other as if they have a dialogue. It depends on the tasks I give them during recording. I also check every recording for intonation, premise, pitch and others features afterwards,” he said. For him, to know the material he works on is very important for producing high quality product. For that, he makes a research and looks through many materials before starting the work on the films. “The voice over director should know the material by heart. This is the first. Secondly, the one should like the film. Otherwise, it will be as a conveyor system producing just another product. For example, recently we voiced The Nutcracker and the Four Realms film. Before that, I watched its Russian, Soviet Union time and Hollywood versions and read Hoffmann’s fairytale,” he said. The challenging moment in his work is to adapt the movie to the local culture context, said Ordabayev. Some films are easier to voice because of the cultural similarities. “Some films are easier adapted for dubbing than others. For instance, our national cultural peculiarities were applicable for the Coco animated movie. The richness (capacity) of our language is able to express the relationship between the deceased and alive persons, the family unity, virtue, goodness, decency, educational meaning in the film,” he said. Ordabayev started his career in professional dubbing in 2015 and have so far worked on 14 projects at the Aray Media Group with the funding and support from Bolashak Corporate Fund. “My first work was popular franchise, Star Wars: The Force Awakens. I also voiced TV series… But I was less satisfied with it. When I found out that there was a high level, international recognised dubbing, I was excited about it,” he added. Ordabayev has also been working as an actor at Kazakh Drama Theatre named after Kalibek Kuanyshbayev in Astana since 2010. In 2015 and several years after, he also served as the theatre’s deputy director. “In 2010, I graduated from the Kazakh National Art University. Several months before the graduation, I was accepted to the theatre and serve as the theatre’s actor until now,” he said. Except for his main work at the theatre and Aray Media Group, he also voices characters at the Qazaqstan National TV Channel and Balapan Channel for children. ASTANA – Avicenna, Almaty’s Tajik cultural centre founded in 2009, seeks to strengthen Kazakhstan’s inter-ethnic harmony and ensure the preservation and development of the ethnic group’s traditions, customs and culture. Shuhrat Tashpulatov. Photo credit: assembly.kz. The community of up to 100 members studies Kazakh-Tajik historical and cultural relations and organises music, dance, art, literature and poetry events. Key projects include Sunday school to learn the Tajik language, attended by approximately 600 students, and the book “The Tajiks of Kazakhstan,” which recounts their origin and daily live in the country. Avicenna vice chair Shuhrat Tashpulatov has led the association’s youth centre since 2012. “I was born in Almaty, learned the Tajik language and have not experienced the loss of my culture. Rather, the Assembly of the People of Kazakhstan (APK) is an institution that preserves ethno-cultural communities and their traditions, while also maintaining unity… I can observe that, over time, ethnic groups residing in Kazakhstan have not only preserved their culture, but are keenly aware of Kazakh and other cultures,” he said in an interview with Assembly.kz. Nauryz, the Persian New Year, is a celebration shared by Tajiks and Kazakhs. “The Tajik embassy and ethno-cultural associations jointly gather the community outside, usually renting a field, or additionally at home to celebrate Nauryz. We really make an effort to engage closely with one another,” he added. In addition to their native land, Tajik communities may be found in neighbouring Afghanistan, Kyrgyzstan, Turkmenistan and Uzbekistan. Approximately 47,000 Tajiks live in Kazakhstan, 80 percent of whom reside in the southern regions. “The first Tajiks appeared on Kazakhstan’s territory following the introduction of Islam in Central Asia, approximately in the 9th and 10th centuries. Tajiks were Zoroastrians and worshipped fire, which caused conflicts on religious grounds, so many had to migrate to other places. In this way, some Tajiks migrated to Kazakhstan from the eastern part of Central Asia,” said Tashpulatov. Tajiks were later linked to Kazakhstan in the early 1900s by their work in rural areas. “The southern region, as you know, is a fertile area for agriculture – the climate is warm and the land fertile. For this reason, Tajiks continue to work there in agriculture nowadays,” he noted. “It would be impossible to establish such an effective institution as the Assembly of the People of Kazakhstan without certain qualities of the Kazakh population, such as warmth, hospitality and openness. These qualities were also displayed in the early 20th century, when the Kazakh population accepted many migrant ethnic groups into their homes,” he added. ASTANA – Although blind in one eye, Kuralbai Orynbassaruly has achieved excellent results in sambo and judo without any concession to his vision impairment. Following his first and only experience in the Rio 2016 Summer Paralympic Games, he has focused on popularising sporting opportunities for Kazakh individuals with disabilities. Kuralbai Orynbassaruly. Photo credit: 100esim.el.kz. “I lost my eye when I was 10 years old. I have an ocular prosthesis in my left eye. I always tried to conceal my physical impairment from others. I was afraid that this would stop my career in sports,” he said in an exclusive interview for this story. Orynbassaruly is a three-time winner of the Asia Sambo Championship and bronze medallist at the Sambo World Championship. He started to speak about his disability when Kazakhstan’s National Paralympics Committee introduced him as a participant in the Rio Games, where he competed in Paralympics judo. “I was 37 when I participated in the Rio Paralympics. It was my first experience of participating in Paralympics Games. I saw that the Paralympics movement has developed in other countries. My interest was not just in judo and sambo. I saw how the system works for different sports. I got many insights from participation in the most important international tournament in my life. Now, my goal is to promote the Paralympics movement in Kazakhstan. In 2019, I plan to open a sports club for disabled people in Shymkent. I want to give them an opportunity to realise their potential in sports. I will be happy to coach them and share all the experience I have in martial arts,” he said. Orynbassaruly, who works as a senior coach at one of Shymkent’s sports schools, became an honoured coach of Kazakhstan in 2017. His mentees have remarkable achievements in sambo, judo and kazaksha kures (Kazakh wrestling). Sabyrzhan Abildauly was the winner of the Kazakhstan Sambo, Judo and Kazaksha kures Championships and bronze medallist at the Asia and World Sambo Championships; Abdyrazak Baglan, winner of the Asia Sambo Championship and bronze medallist at the World Sambo Championship; Ruza Duktrubayeva, winner of the Asia and Kazakhstan Sambo Championships and silver medallist at the World Sambo Championship, and Gaukhar Turmakhanova, winner of the Kazakhstan Sambo, Judo and Kazaksha kures Championships, Asia Sambo Championship and World Sambo Championship. “My participation in the 100 New Faces project is a great example for the young athletes I coach. I always tell them that they are able to reach any goal if they work hard. A professional will always get respect and recognition. Hard work will pay off. My life is a vivid example of this. I do not even know who introduced me to this project. I do not know the people who voted for me. I am grateful to all of them. Now, thanks to this project I can present my ideas to a wide audience through mass media and promote Paralympics values in Kazakhstan,” he said. ASTANA – U.S.-based motivator and activist for people with physical challenges Mohammad Sayed presented Nov. 26 in Astana the comic book he created about a man in a wheelchair. Photo credit: Wheelchair Man facebook page. “The important thing I want people to get out of this presentation is no matter what kind of disability we have, what part of the world we are from, we all face challenges… and go through difficulties. But the important thing is we should never give up, we should be hopeful and work hard to achieve our dreams like everybody else,” said Sayed. Sayed was born in Afghanistan in a family with two brothers and a sister. His mother died when he was five and two weeks later, he was paralyzed when his house was bombed. His father took him to the hospital and Sayed never saw him again. He lived for seven years in the hospital run by a non-governmental organisation in the Panshir Valley. “From that age, I was on my own and I lived in this hospital in the mountains… Since I had no family to take me home, they [hospital staff] gave me a place to stay and I started to go to school to get an education… I started a small business fixing and repairing cell phones… to make enough money to pay for the school, food and clothing,” said Sayed. He also made friends with some of the people at the hospital. “Because the hospital was run by foreigners, there was an American doctor who came there to help people, victims of war. I met him. He wanted to learn to speak [Farsi] and he taught English to me… He became my doctor and over time, we really bonded,” said Sayed. After seven years of life in the hospital, he had to find a new way to survive, as the hospital had to close. “After seven years, when life was getting on the right path, an Italian journalist was kidnapped. Since the hospital was Italian, they decided to shut it down and everybody left. Once again, I was on my own. I had to figure out again [how] to survive… During the time I was living there, one doctor gave me a camera and the other gave me a printer, so I started a photography business,” said Sayed. The American doctor Sayed had befriended was back in the United States and asked a nurse going to Afghanistan to check on Sayed’s condition after the closing of the hospital. In 2009, the nurse invited Sayed to move to the United States and began a new life. “In 2009, she asked me if I wanted to go to America with her and be her family… and I agreed… She is now my mother. I live with her and we have two birds… I have a family,” said Sayed. After arriving in the United States, Sayed endured several surgeries over six months. “My condition was really bad. I had a lot of different issues. My spine was really curved. Actually, doctors told me if I did not come to America, I would have been dead by the age of 18. Right when I arrived, I went into six months of intensive surgeries. They straightened my spine and legs… Then after I recovered, I started school in America,” said Sayed. Today he creates comic characters to inspire people in wheelchairs to think and feel different about themselves, and to challenge the society’s perception about people with disabilities as well. For Sayed, people with disabilities are heroes because they face difficulties and challenges every day. “In America, we have a lot of superheroes: Superman, Spiderman, Batman and others. But there was nobody that represented disabled community. I went to Boston Comic Con and saw everybody in costumes. Nobody showed a sign that people with disabilities could be superheroes too. So, the first thing we did was we wanted to create five original superheroes, which are Wheelchair Man, Wheelchair Woman, Wheelchair Girl, Wheelchair Boy and Captain Afghanistan. We want them to be not only diverse in disability, but also in gender, race and ethnicity,” explained Sayed. His goal is also to draw the attention of people all over the world to the abilities of those who live and move in wheelchairs. After starting his company, Sayed’s activities expanded. “In 2017, we launched Wheelchair Man and it really made headlines… We started to collaborate with different organisations around the world. I was just an inventor and once it started to make news, I was pulled into different directions, like now, advocacy and travelling around the world sharing my story. I started to create next comic books. In 2018, we launched Captain Afghanistan, which is based on my best friend’s story who lost his leg and an eye. When I left Afghanistan, he was unfortunately living in the streets. He was my hero and I was his. This was my way of honouring him in his memory,” said Sayed. The Sayed’s next comic book will be about a woman in a wheelchair from India. For that, he wants to travel to India in 2019 and find a role model for the book’s character. “The storyline is that she was paralysed, and her parents took her to a facility and left her there. She started to go to school. After graduating she started to give back to her community by fighting for equality for girls in India,” added Sayed. The reason Sayed chooses to share his ideas and thoughts through comic books is that, for him, this is a good way to reach out to young generation. He believes he can influence and change the mentality of people through his works. “The goal for anybody in any part of the world is to accept us in community and see that we have a lot to give to the community… Changes do not happen overnight. We are not alone fighting for equality, justice and being involved in the community. It will be a long road ahead, but it doesn’t mean we shouldn’t fight for that,” noted Sayed. Wanting to convey his message about hope and the empowerment of people with disabilities around the world, Sayed is now focusing his creative talents on helping others with spinal cord injuries through the development of adaptive tools. “Since I had this creative mind, I always wanted to invent and solve problems. Along with my high school education I started to take courses at MIT and Harvard to get different skills, because I wanted to start creating different tools to not only help people physically, but also psychologically. In 2016, I graduated from high school and founded my first company to bring my visions to life. During that time, when I was creating these assistive devices, U.S. President Barack Obama … heard that I use 3D technologies and invited me to the White House,” said Sayed. For Sayed, that was a huge motivation. The Astana event presenting his latest comic book was organised by the Rights of Persons with Disabilities Commission named after Kairat Imanaliev in cooperation with the U.S. Embassy. Sayed will also visit Almaty and Shymkent cities. 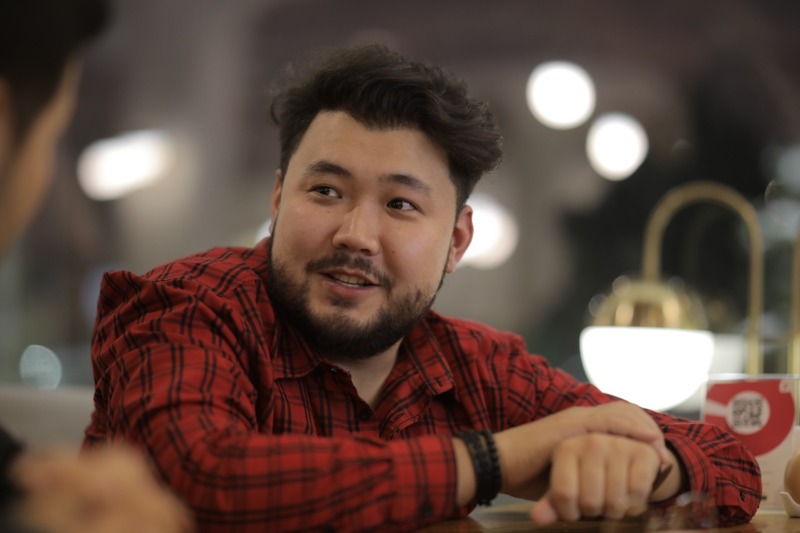 ASTANA – Kazakhstan 100 New Face’s entrepreneur and Paralympic sportsperson Shahan Zholdasbayev directs all of his power and will towards creating an inclusive society by constructing ramps that allow people with limited mobility to easily move around the city. He expanded the social Pandus-Ok project into a company and now builds cost-effective lifts to help them feel like full members of society. For Zholdasbayev, 2007 was the year he was forced to redress his life after a terrifying car accident tied him to a wheelchair without a chance to walk again. He could hardly imagine how to move around the city on his own. He recalls moments of despair, tears and gloom. He was responsible for his two little sisters and elderly mother, however, and decided to stay strong and move forward. Zholdasbayev realised the infrastructure built by those who have never experienced a day of a person in a wheelchair utterly disregards how difficult it is for them to enter a Kazakh high-rise building. In many cases, ramps are uncomfortable and dangerous or not provided at all. Having some background in engineering and understanding the struggles of wheelchair life, Zholdasbayev developed a business idea that won two million tenge (US$5,396) for its realisation at the 2013 Atameken Start-up competition. The following year he launched Pandus-Ok with the slogan “Don’t build for us without us.” His social project is now recognised as one of the best in the Aktobe region and the only one licensed to organise access for people with limited mobility. To date, the company has done more than 70 projects to partially or comprehensively adapt buildings and surrounding areas. They have become popular throughout Kazakhstan and in some Russian cities. The company has expanded its focus from ramps to other means of easier entrance. “We realised that many buildings cannot afford to build a good, long ramp that meets the standards due to the lack of production space. Then, we thought about the production of lifts,” said Zholdasbayev. The first such lift was installed in the President’s Central Park in Aktobe. The project received support from the city akimat (administration). “Good foreign analogues were very expensive, approximately two-three million tenge (US$5,396-$8,094.). For a customer, they were unaffordable. As a user of this structure, cheaper Russian-made models did not suit me because of the flimsy, unreliable construction and the absence of handrails. We thought about our own production, developed a project and implemented it,” he added. Zholdasbayev focused on making a lift system as high quality yet as inexpensive as possible. “In 2015, I visited the United States at the invitation of their embassy ​​and saw their inclusive environment. I intend to realise this accessibility in our country as well,” he said. A year after his accident he joined the Society for the Protection of Paralysed in Aktobe, where he was motivated to participate in Paralympic swimming. Completing 100 metres in 2 minutes, 23 seconds, Zholdasbayev won the bronze medal in the German open championship for people with disabilities. Being listed among Kazakhstan’s 100 New Faces was another achievement that made one more dream on his bucket list a reality – meeting Kazakh President Nursultan Nazarbayev. “Shortly before the accident, when I worked in Astana at the Ministry of Environmental Protection fulfilling one of my official assignments, I managed to visit the Akorda building. I came from a small village and walking along the main building of our republic, I imagined meeting the President, because he works within these walls. Then, I set myself a goal that I will definitely succeed and deserve this meeting,” said Zholdasbayev. 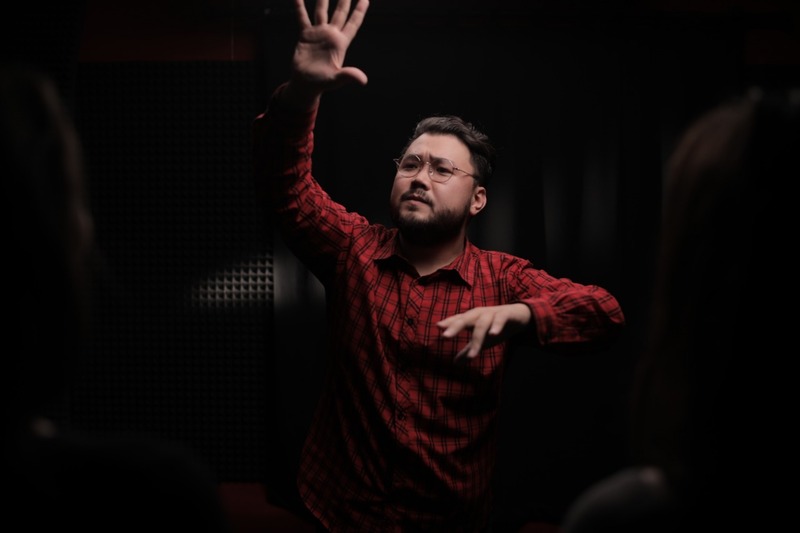 ASTANA – Medet Chotabayev, one of Kazakhstan’s 100 New Faces, is an opera artist currently preparing for an Australian tour, where he will perform his most difficult role on the Melbourne Opera House’s stage. His many awards include the 2009 Art of the 21st Century International Competition’s grand prix in Finland, 2009 Glinka International Singing Competition’s first prize and Best Tenor award in Moscow, 2010 International Opera Competition’s third prize in Paris and 2013 Arena di Verona Concorso Internazionale di Canto’s first prize in Verona. The artist received the prestigious award and title Knight of the Order of the Star of Italy in March for strengthening cultural ties between Italy and Kazakhstan and promoting the Italian language. In Melbourne, Chotabayev will perform Richard Wagner’s “Die Meistersinger von Nürnberg,” appearing Nov. 13, 17, 19 and 22. The opera is one of the longest commonly presented, usually running approximately four and a half hours. The story, set in mid-16th century Nuremberg, centres on the city’s association of amateur poets and musicians. It is unique as the only mature Wagner opera based on an entirely original story, a comedy with no supernatural powers or events. As the character of David, he will sing in German and intends to pay special attention to the specific techniques required by the demanding role. He has previously performed in English, French, Italian, Kazakh, Russian and Spanish. Chotabayev expressed gratitude for the creative opportunities he has been offered since becoming part of the 100 New Faces project. 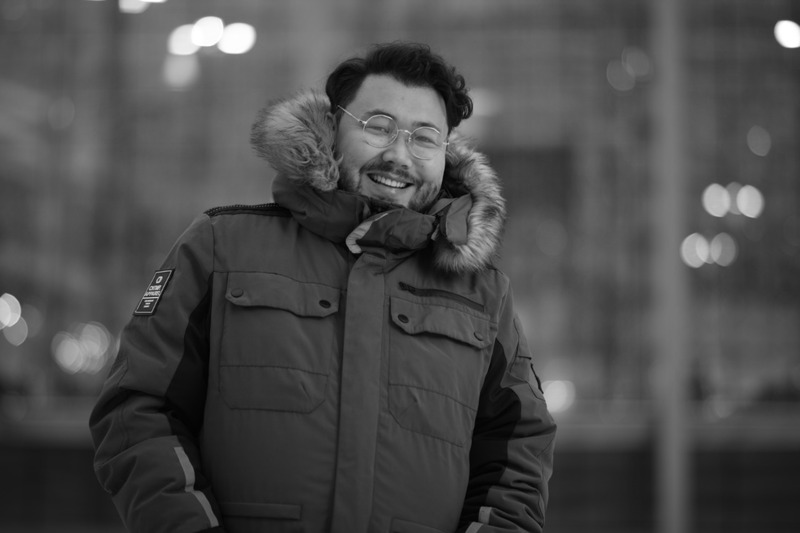 ASTANA – “Find Your B – Find your inner Batyr” podcast founder and presenter Kairzhan Albazarov found himself deeply dissatisfied, anxious and lost in his youth. Thinking something was wrong with him, he distanced himself from understanding who he truly was, but still did not receive the approval he desired from others. Relying on self-help books, mentors and professionals for his inner transformation, he was able to face adversity head on. A petroleum engineer, Albazarov completed his education at Kazakh-British Technical University and the French Institute of Petroleum on a scholarship basis and worked on oil and gas projects in Denmark, Kazakhstan and the United States. Despite flourishing by conventional measures of success, he felt his potential was not fully realised. Albazarov chose to create a podcast that would have helped him during hard times at school and in his career and personal relationships. He established a platform for what he hoped would be sincere communication among the generation growing up in a post-Soviet time of uncertainty and changing values, for whom deciding what truly mattered to them was particularly tricky. Kairzhan Albazarov. Photo credit: findyourb.com. “Find Your B” could not be more aptly named. For Albazarov, rather than simply a courageous national hero of enormous physical strength, a 21st century batyr (Kazakh warrior) is also an individual of unwavering values and principles. “Batyrs know their strengths and weaknesses; they are ready to say no and are not afraid to upset their surroundings. They are ready to laugh at themselves and share their pains and joys; they are sincere and sensitive to others. Batyrs are the masters of their lives and claim responsibility for their decisions. Most importantly, a batyr of modern times has no gender – it is a guy or a girl who knows what he or she wants and does not betray his or her principles and dreams. This batyr is a role model for a new generation and a future national idea,” he writes on his website www.findyourb.com. Among his interviewees are ordinary people who carried out extraordinary transformations of themselves and their lives. Guests such as Madi Mambetov, Moldir Mekenbayeva and Sayasat Nurbek have defined success for themselves, often defying societal expectations. Hailing from diverse backgrounds, the common thread among them is that they are ready to speak openly on their joys and vulnerabilities. A defining feature of Albazarov’s presentation is his ability to get guests to open up in a personal way, despite not being acquainted with them or having met in real life. “Perhaps committing to a structure and thoroughly preparing for the interview helps. I also conduct a background check, find whatever information is available online and ask people around me so that I may establish an idea of the person, as well as the ‘gaps’ or what remains to be explored. My guess is that people are more trusting when they sense that I am prepared and will not ask them the same old questions,” he said. The presenter acknowledges that finding his podcasting voice and style is a work in progress. “My struggle in deciding to start the podcast was that I was not satisfied with my diction and I remain unsatisfied. Due to having a speech defect, particularly that I rhotacise, I did not think that podcasting was a possibility. Still, receiving positive feedback has encouraged me despite this setback,” he said. His audience consists of 16-40 year-olds from Kazakhstan’s major cities, many of whom studied abroad and regularly consume foreign media. What connects the wide group of listeners is a recognition of a lack of sincerity and meaningful engagement in contemporary society. “When I met with podcast listeners in Almaty, many mentioned that they used to think they were the only ones who felt they were out of their minds. Rather, there are many of us and it’s comforting that we are not alone in facing these problems,” he added. He professes that podcasting is time-consuming. “From the moment I bought a microphone to the moment of releasing the first episode, six months had passed! This process included creating the name, concept, music, design and website, in addition to having to assume the role of developer, which I was ill-equipped to do as someone who was just a social media user. To this day, the biggest issue remains the lack of time. It is tricky to balance family, work and podcasting, but it is nevertheless manageable,” he said. Despite the demanding time commitments, he has produced 30 episodes. Albazarov hopes listeners may find themselves in the interviewees’ stories. Fostering personal development, an inner freedom and critical thinking through sincere and honest conversations is his ultimate objective, since these qualities are often the foundations of a developed and democratic civil society. “If I had to decide on one message I would like to convey to listeners, it would be that only we, ourselves, get to define what success means for us, what we want for ourselves and how we want to live,” he said. One can listen to “Find Your B” at www.findyourb.com or on Apple Podcasts, Android, Google Podcasts, Stitcher and Spotify. ASTANA – Kazakhstan creates conditions for representatives of various religious communities, including adherents of Buddhism, to coexist peacefully and prosper. Larisa Palagina, leader of Almaty Temple of Won Buddhism, spoke about the practice in Kazakhstan, its values, activities and interfaith relations, in an interview with The Astana Times. Larisa Palagina, leader of Almaty Temple of Won-Buddhism. Won Buddhism is a modernised form of the religion developed by Pak Chong Bi, also known as Sothesan Tedzhonsa (1891-1943), venerated by his followers as a Buddha of the new era. In 1924, he founded a new religious order with Buddhist teachings as its central doctrine and established a world community headquartered in Iksan, South Korea. Almaty Temple of Won Buddhism, the only temple representing a world community of Won Buddhism, was established Sept. 16, 1992. “Won Buddhist doctrine maintains that material values prevail in the human community at the expense of spiritual values. However, for the prosperity of a mankind and liberation from wars, evil and violence, there is a need to disclose its spiritual and moral potential,” said Palagina. Won Buddhist dogma embraces traditional concepts of Buddhist dharma, since it is simple and convincing in terms of understanding the essence of Buddhism and nirvana. Guided by the realities of the modern time, however, Won Buddhists hold the One Circle (Il Won Sang), a symbol of the origin, essence and enlightened consciousness of the Buddha, infinity and perfection, as the object of their faith. Thus, by modernising Buddha’s teachings, Won Buddhists made his knowledge and practice accessible and applicable to daily life not only to dedicated servants, but also to all people. The missionary activities of the Kazakh Buddhist community are divided into three main directions – the religion itself, enlightenment (education) and charity. “The religious mission is conducted mainly in temples and churches. Its goal is to find a true path and help people find inner strength equal to the power of Buddha through regular sermon attendance, observance of rules and rituals and spiritual trainings,” she noted. The goal of the educational mission is to eradicate ignorance and provide assistance in acquiring the necessary knowledge for the creative transformation of the world and spiritual development of the human community. Charitable work, in turn, is carried out to provide spiritual, physical and economic support to people in need. Almaty Temple has more than 100 members, the majority of whom are Korean, and also welcomes Kazakhs, Russians and representatives of other nationalities. An indispensable part of the world Buddhist community, the local temple celebrates a majority of Buddhist holidays according to the lunar calendar. The Eastern New Year, in February-March, is accompanied by festive praying ceremonies. In April, events are dedicated to the day of Won Buddhism Opening and in April-May to the Buddha’s birthday. Memorial services are organised in early June and December and Buddha’s enlightenment day is observed in late December-January. “Kazakhstan is a country providing opportunities for different religious communities to exist and perform their activities, guided, however, by the legal framework. Mutual respect and religious tolerance are the main concepts, characterising the relations between representatives of various confessions and the core values of true Buddhism. The local Buddhist community is open to dialogue and cooperation with other religious communities; our leaders and members are always willing to take part in events organised with government, public and religious bodies,” said Palagina. Almaty Temple leaders have attended the Congress of Leaders of World and Traditional Religions since the first one in 2003. “We consider this event as the most valuable contribution of Kazakhstan to the development of world interfaith dialogue and we are proud of its significant role in uniting the efforts of world religions to preserve peace and harmony,” she added. ASTANA – Yelena Dmitrienko, one of Kazakhstan’s 100 New Faces, is the president of Zhuldyz Association, which unites children’s public organisations across the country. She has devoted more than 40 years to education, devising a pre-school development programme for children’s organisations. “The programme’s mission is to nurture free and creative individuals living up to high moral standards and capable of making a significant contribution to Kazakhstan’s prosperity,” she said. The methodology, created in the early 1990s, has been recommended by the Ministry of Education and Science and is widely used in all regions. Dmitrienko puts specific emphasis on leisure activities available to Kazakh children. “Children should play an active role in social life, not only participate in flash mobs. There should be a ladder of constant personal growth and children’s initiatives need to be supported by public organisations,” she said. “From a very young age, children are extremely open, willing to take initiative and do everything by themselves. Therefore, it is of primary importance to guide them, channel their energy into the good and socialise them within public organisations for children,” she added. She feels schools currently pay less attention to youngsters’ upbringing, focusing more on academics and exam preparation. As a result, creative nurturing and leisure fall beyond the scope of traditional education. “Children act according to what they see on the television and learn from social networks. Since our country positions itself as a prime example in social and cultural aspects, we need to focus more on our children, not only provide them with food and clothes, but develop them in a professional way,” noted Dmitrienko. She believes providing competent tutors for children is key to developing them as strong personalities. The organisation has worked in this direction for several years by gathering working and future pedagogues, organisers and leisure coordinators each year for qualification upgrade. “There is, however, a deficit of professional and competent tutors trained to work with children and each institution prepares them in its own way,” she added. Dmitrienko believes pedagogical institutions throughout the country should introduce a major in children’s leisure, providing scholarships and further career opportunities to attract and retain enthusiastic students. She and her colleagues are prepared to share their methodology and provide experts to train tutors.